A woman opens her own detective agency in Botswana. An American woman asks for Precious's help to trace her son who vanished a decade before. Precious has a few things to sort out, the main one being her old husband turning up again. A new detective agency opens up near the Ladies. Grace investigates a beauty contest while Precious is trying to find Nandira Patel's mystery boyfriend. Sometimes a series comes along that outshines all the rest. The #1 Ladies' Detective Agency is such a jewel of artistic excellence. When I first heard the buzz about a new HBO series, featuring an African-American female detective (who wasn't a size -2), my interest was sparked – and the previews only increased my impatience and anticipation. I can testify here and now that the cast, direction, and script writing always leave me wanting more. 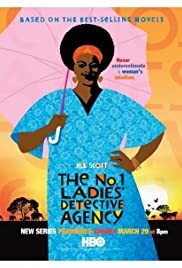 Based on the best-selling novels by Alexander McCall Smith, #1 centers around Precious Ramotswe (Jill Scott), who left her homeland after burying her father and child. A victim of domestic abuse, Precious seeks a new life in Botswana, as the #1 Ladies' Detective". It's obvious by her adventurous spirit and career choice that she views herself as "made of strong stuff". Strong stuff indeed! In no time, she opens her agency, hires a secretary Grace Makutsi, (Anika Rose), who proudly declares, "I've scored 97%, the highest in the history of the secretarial college!" Add a common-sense boyfriend with a bad case of shyness and a gay hairdresser with a perchance for flowery shirts and cute hats, and you have a recipe for weekly success. It's not unusual for an episode to begin in good humor, only to end with this reviewer dissolved in tears and tissues. The stories feature sordid kidnappings, murder, and drug dealing to the usual suspects of cheating spouses, quarreling families, and petty thieves. 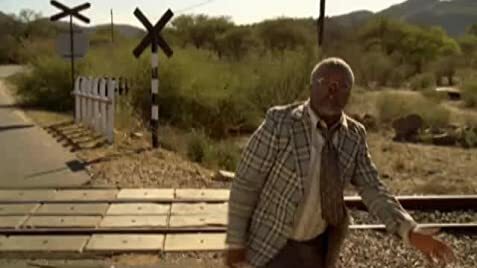 Yet the smartest element of this delightful show is the use of Botswana and its people as its weekly setting. The rich culture and customs woven into each mystery, provides us with characters and situations that never fail to fascinate. And in the end, what appears different strikes a familiar chord, because it's a small world after all.